You are here: Home / Article Knowledgebase / Guard yourself against Useless Fake Pearls for Jyotish Gemstone Therapy-Don’t deceive yourself. 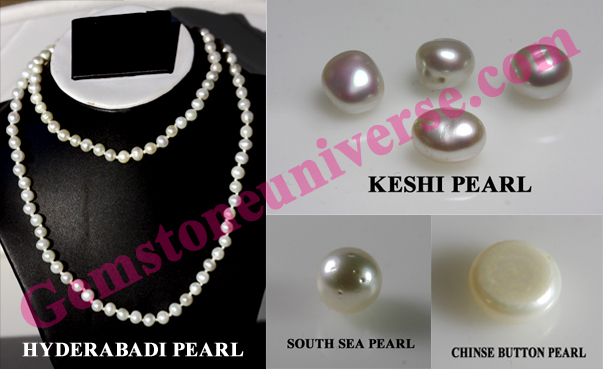 Keshi Pearls, South Sea Pearls & Chinese Pearl are cultured and Non Natural Pearls. That?s more than snesible! That?s a great post! I purchased a certified pearl from gemstone universe and I have to thank many fold. First for being bold and insisting on natural pearls, I had worn a cultured pearl before, some other people call the uparatna, but there is no basis for that. Secondly for offering the pearls at a reasonable cost. I have seen other places selling natural pearls for unaffordable prices because they are so rare. We have gone on to purchase many more gems and recommend gemstone universe to our friends. Will give more reviews with the new gems we have purchased!